Celebrate the Holiday Season with NCHS Choirs! Our annual Holiday Concert is Thursday, Dec. 13 at 7:00 pm in the Auditorium. For those who can't make it, we will once again be featuring a live stream on our Facebook page, Iron Choirs. Listed below are the call times for students - all students should wear their concert black for this concert (tux, dress, or robe). The combined NCHS Choirs will perform the national anthem at the Homecoming football game this Friday, October 5. Students should meet in the Auditorium no later than 6:30 pm. The doors by the bus lane and Door J behind the school will be open for students to enter. We will rehearse together, then walk as a group to the football field and will be performing the national anthem on the track on the 50 yard line. Students will be admitted to the game for free. Once we are done singing (approx. 6:55), students are free to leave or stay for the game. This is a required performance for all choir members. Any parents who don't want to go to the game are welcome to come and listen to us warm up together in the Auditorium! There is a *slight* chance of rain being forecast for Friday evening. If it's raining, we won't sing. I will keep everyone updated on Remind, Twitter, Facebook, and Instagram. Looking forward to a great performance! Iron Choirs Spirit Wear Now on Sale! The NCHS Choirs spirit wear store is now open! We have several different designs to choose from, and all are high quality and last through many wears. Students are NOT required to purchase a shirt for the Spaghetti Supper this year, as it is more appropriate to wear our concert black for the theme of our program this year. However, spirit wear is enthusiastically encouraged for students, parents, friends, and supporters! The store is open through Friday, October 12. All orders are paid online and items will be delivered to the school and will be handed out. Click here for a link to our online store. Show your Iron Choirs pride by purchasing today! 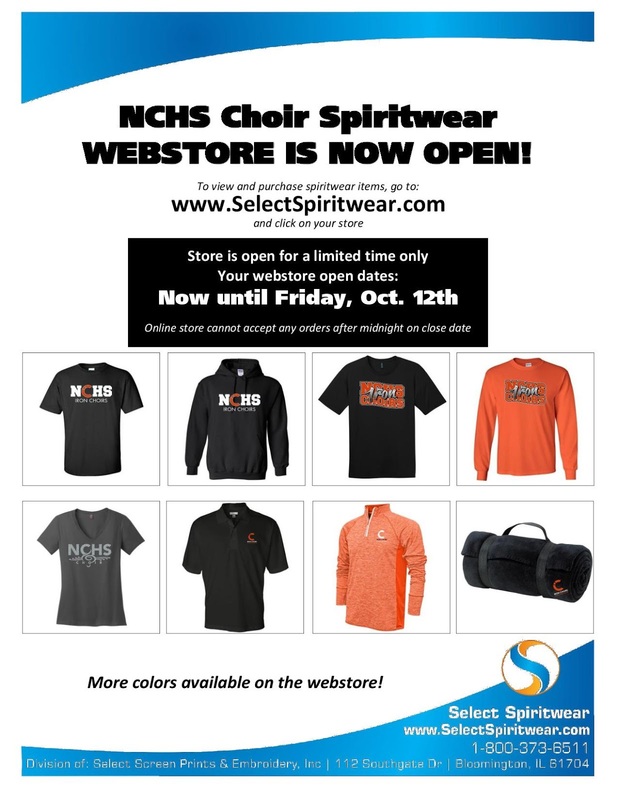 The NCHS Choirs September Newsletter is now available. Please read to find out lots of information about the upcoming months, including information for the Fall Concert and our annual Un-Raiser. 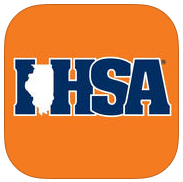 Students participating in ILMEA Auditions can find practice tracks on the ILMEA tab. All voice parts are completed for all pieces except altos, which will be ready in the next day or two. In the meantime, altos can work on the 2 state-required selections. I will be hosting practice sessions every week until auditions on October 8. Students should check the announcements for which pieces I'll be working on and what days. Sign up so I know who's coming! 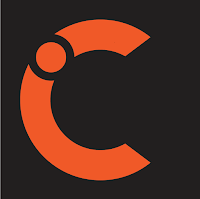 Parents interested in helping out for concert performances and other choir activities - please click on this Sign-Up Genius link for a listing of volunteering opportunities. Thank you so much for your help to make Iron Choirs run smoothly! Thanks to everyone who auditioned for Court Singers. You all did so well, and it was really tough to narrow it down. Thanks for auditioning and congratulations to our new members! Our first rehearsal will be on Wednesday, August 29 from 3:45 - 5:15 pm. We have been assigned to sell concessions at the Chili Bowl game - NCHS vs Normal West - on Friday, August 31. We are also doing this with Drama, FBLA, and Journalism. We need to supply 2-3 people for the setup shift, and 6 people for the shifts during the game. Students are welcome to sign up, but we must have some adults as well, as they are the only ones allowed to run some of the machines. Please click on this Sign-Up Genius link to help out...it's a great money maker for us! Due to a family conflict, I have changed the date of the Holiday Concert with NCHS Orchestras. Our Holiday Concert will now be THURSDAY, DECEMBER 13 at 7:00 pm in the Auditorium. I have updated it on the calendar. Please make sure you note the change on your own calendar! Welcome to 2018-2019 Iron Choirs! The new school year is upon us, so it's time for our annual back-to-school choir newsletter. Please check it out for information on our year, including several new items. Of particular interest is our switch to standards-based grading being rolled out this year. Click on the link above to check it out. Looking forward to another great year of NCHS Choirs! Welcome to our new students - looking forward to meeting you! It's been another terrific year in Iron Choirs! Check out our end-of-the-year video. For more information please click on this information sheet (handed out on Monday, April 30 to students in class). Please note that reservation forms for the dessert banquet are due this Friday, May 4! Looking forward to a great few weeks of activities to end another great year in Iron Choirs! All five curricular choirs will be participating in IHSA Music Organization Contest this Friday, April 13 at Heartland Community College. They will be performing for a panel of judges who will give them expert feedback and will receive an overall rating. The event takes place during the school day, so students will not have to come back over the weekend to participate. Parents are more than welcome to come and watch the performances! All students in Men's Choir, Treble Choir, & Chamber Singers are dismissed from classes for periods 1-5. Students in these choirs should report to the choir room at the start of 1st hour, and should come dressed in their tuxedo or dress. The bus will leave at approximately 8:45 am and will return soon after 12:00 noon. This should give them time to eat lunch and change clothes before 6th hour. All students in Chamber Chorale and Women's Chorale are dismissed from periods 5-8. They need to report to the choir room and get changed into their choir uniforms. The bus will leave at 12:30 pm and will return to school around 3 pm or soon after. Students with 5th hour lunch can eat at the start of the period and need to be ready to leave by 12:30. The students have been working very hard and should have excellent performances! The Unit 5 Choral Showcase, featuring all singers in Unit 5 grades 7-12, will be held this Thursday, March 15, at 6:30 pm in the NCHS Gym. Parents - I still need some help with managing the concert. Please visit the sign-up genius here to volunteer! Looking forward to a great evening of sharing choral music with our Unit 5 choir family! comgratulations to the cast of Mary Poppins! First rehearsal is Monday, Jan. 22 at 3:45 pm! Visit the musical page to see the cast list. Click here for the latest choir newsletter. Lots of information on spring semester activities!